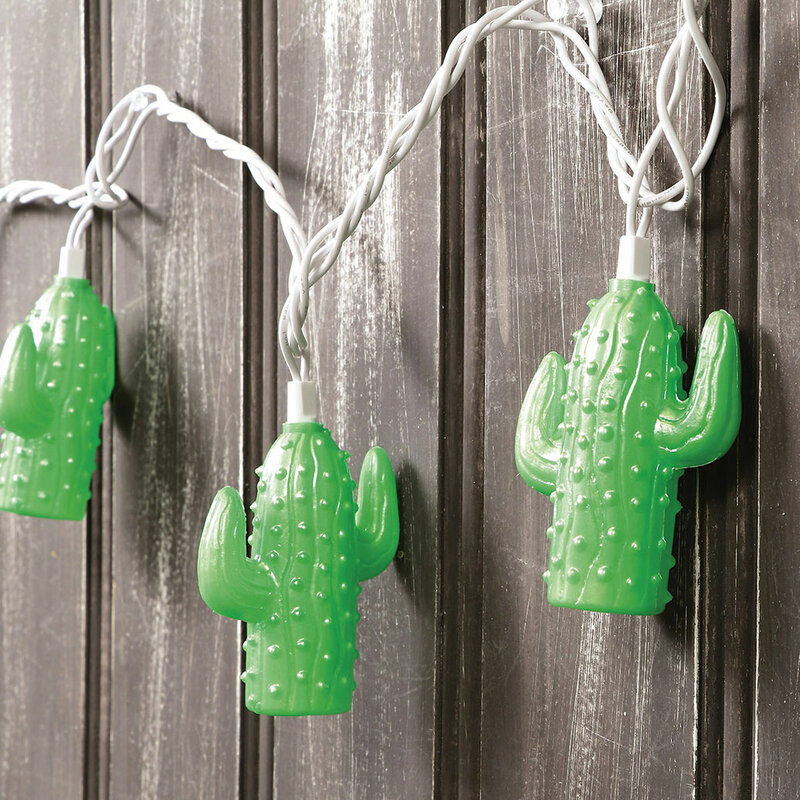 A Lone Star Western Decor Exclusive - Brighten any room or backyard space with these plastic string lights with a cactus design and white wire. Ten bulbs. Outdoor safe. 8'6"L.